a slim book, ostensibly for children, titled Mr. Mergler, Beethoven, and Me. It tells us a lot about a meaningful life lived, and even more about the author, CBC radio documentary producer David Gutnick. 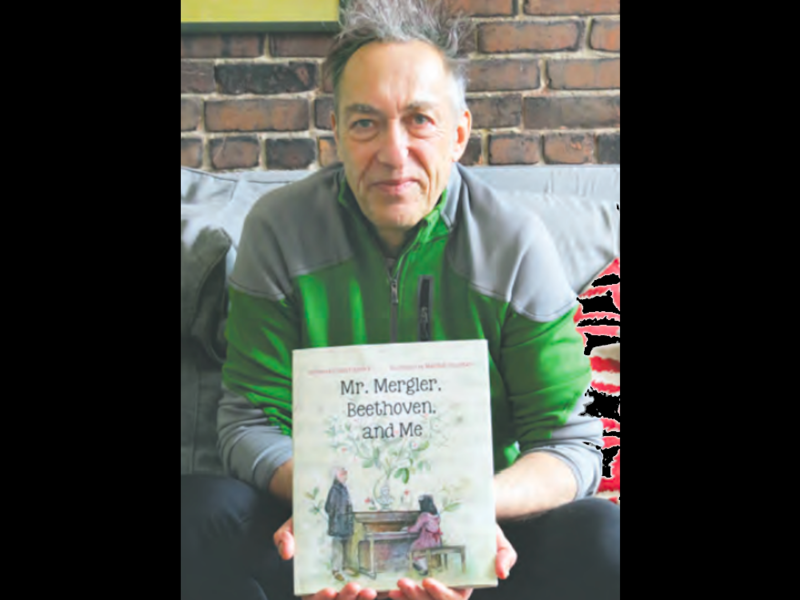 It’s the story, beautifully illustrated by Mathilde Cinq-Mars, of the late Montreal piano teacher Daniel Mergler, how he met a young student in a park, and with her parents’ blessing became her teacher, though they could not afford to pay him. It’s the kind of compelling human-interest story Gutnick, 61, has been telling ever since he began as a freelance contributor to CBC radio in Quebec City, after the Saskatchewan-born broadcaster graduated from Laval University, with a literature degree focused on French African poetry. Gutnick’s journalism follows several tracks: what makes Quebec special and what people are doing here and elsewhere to make this world a better place, how, as Leonard Cohen puts it, his subjects make the light shine through the cracks of a broken world. As a stalwart contributor to The Sunday Edition and other CBC shows, Gutnick has done stories on former child slaves in Togo, secret religious service in Beijing, and ballet dancers in an American maximum-security prison. The story about Mr. Mergler is among his most memorable, reflecting what is happening in our own backyard, celebrating lives, uncovering trends, and providing historical perspective. Being the son of social workers, his interest in the human condition reflects his upbringing in western Canada and the Northwest Territories. From his parents and his various experiences, Gutnick picked up passion and compassion. His father worked to help indigenous people establish their own community organizations and at one point Gutnick was one of the few white kids at a residential school in Fort Smith, NWT, alongside Dene and Cree students. That experience came in handy after Gutnick graduated from Laval and in 1985 landed his first job, serving as a surrogate “dad” to children from Inuit families who were brought to Quebec City to attend high school in French. He pitched the story to the local CBC station, only to be told by busy staff, “Here’s a tape recorder, why don’t you try it.” And a broadcasting career was born. Shaffer produced a film in 2004 for the NFB called Mr. Mergler’s Gift. Tape recorder in hand, the ever-inquisitive Gutnick went to see Daniel Mergler, and learned how this Juilliard graduate, chose to teach piano rather than perform. Specifically, he heard about his meeting a young girl in an NDG park. Mergler asked her to sing a song, realized she had perfect pitch and invited her to his house. He asked her to play piano and found her positioning was all wrong. He discovered she was totally self-taught, having picked up the piano at church, and offered to teach her. “In 26 weeks she goes from zero to being the best student he ever had,” Gutnick recalled. The student is not named in the book because she did not want the story to be about her. When he is about to die, Mergler leaves her the cherished Beethoven bust he got when he was a boy and kept atop his piano. He asks her to keep that statue on her piano. “It’s about the passing on of wisdom and love, from one generation to the other,” Gutnick reflects. An interview with Gilles Vigneault: The beloved singer/songwriter and poet, who became prominent during the mid-1960s, has been living quietly in the town of Saint Placide, just up the Ottawa River from Oka. He is 89, and he and Gutnick immediately hit it off: They happened to have taken the same course at Laval University, on the poetry of surrealist Paul Éluard, with the same teacher. The peg was Vigneault’s last album, Vivre Debout, which came out in 2014, and his reflections on the drubbing the Parti Québécois received in the last election. “He invited me out to his studio, built in an old snack bar on the highway, and we spent two hours speaking English together. A profile of Philippe Rochette, known as le bonhomme à lunettes: He’s a Montreal optician whose mission is to provide affordable glasses for low-income Montrealers. “He’s like a Robin Hood: He helps poor people, from an office in an old industrial building on St. Viateur, east of Saint Laurent. “I followed him way out to the east end, and there was a lineup of people waiting for him. Then I followed him to the YMCA at Guy Favreau, and there were homeless guys waiting to see him with glasses held together with scotch tape, or chewing gum. A profile of Montreal dentist Elliot Mechanic, also a rock guitarist. As a youngster Elliot chose dentistry over music, but never gave up on his first love. As a successful dentist, he set up a studio in Montreal North and there provided recording opportunity and mentorship for a young, all-female group of Haitian-origin musicians, the Surf Singers – a focus of Gutnick’s piece – whose big dreams connected with Mechanic’s soulful passions. Mary Travers, who became famous as la Bolduc, Quebec’s first musical superstar: Gutnick’s piece for The Sunday Edition was pegged to be the forthcoming feature film, to be released in April, on her life. It’s a story about a woman from a humble and ethnically mixed background – her father was Gaspé Irish, her mother was Mi’kmaq and Acadian – who became famous after she started singing her own songs about the things that mattered to ordinary people in their daily lives. 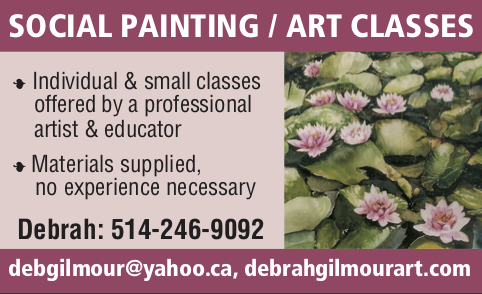 “Here is this girl who didn’t learn French until she was seven, in Newport, and at the age of 12 comes to Montreal, works as a maid, learns music, at 17 marries a plumber, has 13 babies – only four live – and teaches herself the accordion, harmonica, and violin. In 1941, after a busy performing career, she died from cancer at 46. The film comes out April 6. “There are people that are responsible for making Quebec different than the rest of Canada, and la Bolduc is one of them, part of Quebec’s soul,” Gutnick says. “Every single story is about people, their passions, and here is what you should know about them. I am going to bring you with me, you will meet somebody new, and find out something about our society. The book launch is March 18, at Drawn and Quarterly, 211 Bernard W. in Outremont, 5-8 pm. A particular invitation is sent out to Daniel Mergler’s former students. Be the first to comment on "Documentary producer David Gutnick pens story of wisdom and love"